So take it as you will. 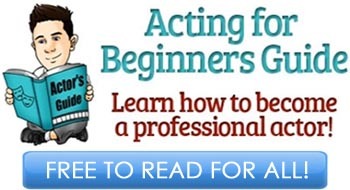 We are here to provide you with the extensive information of what training or no training actually entails so that you can make your own conscious decision on how to pursue an acting career. Additionally, it’s also important in which market you’re trying to pursue your dream. 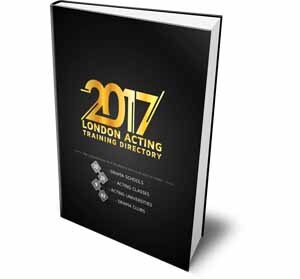 United States are known to be less obsessed about actors having formal training, while entertainment industry in the United Kingdom likes their actors “formally prepared” by a drama school (not a university; more on this here). Bachelor of Arts (BA) degrees in the United Kingdom take 3 years to acquire in either drama school or a university. In the US, you have to spend 4 years to get the same kind of Bachelor of Fine Arts (BFA) degree. Classes in drama schools last from 8am to 5pm. Additionally, students are expected to do their homework assignments (essays and research) in their free time, and most weekends are taken by rehearsals for upcoming examination productions. You’re going to be busy, very busy. In fact, drama school students are so busy they have absolutely no time to either work to support themselves or audition for any acting jobs around town. You absolutely must consider this before you apply: can you afford to live 3-4 years off your savings or someone’s support? Are you going to be okay not auditioning for 3-4 years? Of course, like everybody else, drama school training proponents get 2 months off school in summer months. You will be learning body, movement, voice, speech, Shakespeare, some screen acting and some voice acting, A LOT of theory (playwrights, history, etc.) and similar things. Drama schools in the US tend to give more attention to screen acting classes and voice over classes, while UK’s drama schools will have more focus on Shakespeare and training of body/voice. 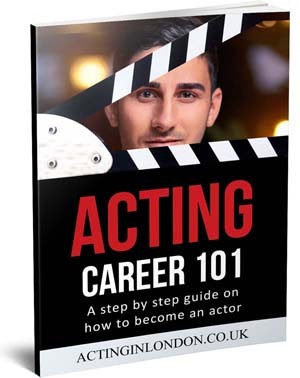 Remember that no drama school will teach you about the business side of acting: marketing yourself, how to get an agent, how to audition, how to get the part, etc. 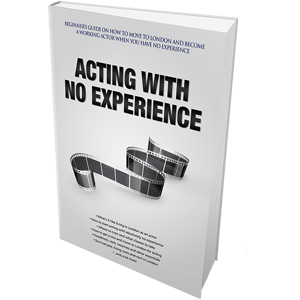 You can only learn these things from acting schools (especially short workshops), working actors, books and the Internet. 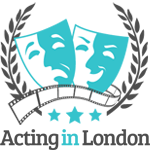 For a comparison of drama school’s training vs. acting schools’, please see this article. Brad Pitt, Ben Kingsley, Johnny Depp, Matt Damon, Julia Roberts, Tom Hanks, Kevin Costner, Tommy Lee Jones, Natalie Portman, Jodie Foster, Kevin Spacey (dropped out), Al Pacino, Diane Keaton, Robert DeNiro, Marlon Brando, Michael Cane, Sean Connery, James Stewart, Spencer Tracy — just to name a few. These talented actors have chosen an alternative path: acting classes, private coaching, auditioning and working. The reasons could be anything from not being able to support themselves without a job to not wanting to spend 3-4 years without a single audition for a professional acting job. Daniel Craig, Robin Williams, Sigourney Weaver, Anthony Hopkins, Judi Dench, Daniel Day Lewis, Orlando Bloom, Ewan McGregor, Edward Norton, Colin Firth, Pierce Brosnan, Philip Seymour Hoffman, Alec Baldwin, Meryl Streep, Paul Newman, John Turturro, Don Cheadle, Ralph Fiennes, Forest Whitaker, Laurence Olivier. As you can see, both lists carry impressive names, great actors and talented people. This makes it difficult to argue which path is better or quicker to become a successfully working actor. The question of whether to attend drama school or not is an endless debate with no certain answer. You will always find people against formal training just as you will find people pro-formal training. There are actors who value what they have received in drama schools, and there are the ones who say it was a waist of their time and money. As much as I wish there would be a definite answer, there isn’t one. You need to answer this question for yourself. Nobody, and I do mean nobody — not me, not this website, not your acting teacher, not your tutor, not your parents or anybody else — can answer this for you. You got the facts, you know the reality of this business, so choose wisely.